‘Spa’ meaning has been disorted now. Nowaday, spa is the place to seek serenity and ‘me time’ activity, done by both female or male. Spa is one of a pleasing and soothing relaxation. Because of its specialty in giving inner and outer peacefulness, so the selection of the spa can not be arbitrary. Many things must be considered when I visit the Spa. 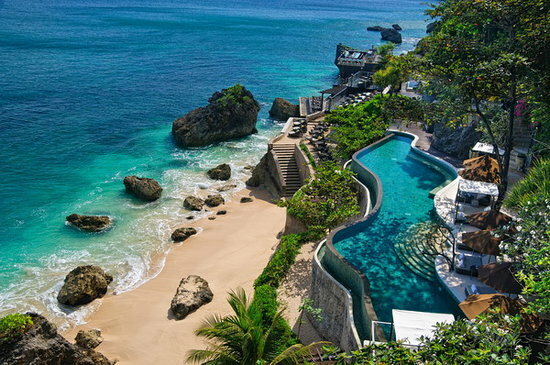 Bali is the center of spa houses which have been targeted by tourists. The reason i agree with this opinion is, beside of its nature, the central peace in seeking the perfection of my holiday is in Bali. I will judge the book by its cover, and I will judge the place also from the decoration and interior design. The friendly and helpful staffs, throughout the registration until the post-treatment. It will be my favorite spa in Bali if it has pacifying spots for the treatment, such as ocean view, mountain view, perfect scenery, and soothing breeze sounds. Just imagine whilst you’ve got prefect treatment from the staff and you easily feel comfy with beautiful scenery in front of you. I love Bali due to its ingredient options for my treatment. Spa in Bali has various ingredients such as coffee grain, frangipani, mint, greentea, etc. They have specific effect and lovely scent that makes you want to visit here for your next holiday trip. Many choices of ingredients they’ve made always makes me go back to try other ingredients in Bali. Balinese, Javanese, Swedish spa and lots of options in treatment. Excellent massages and service, and the luxury footpath treatment is absolute heaven place to stay longer at spa. And also, great value of money will be my consideration. And Bali is such an ideal place to stay, whole packages of my ideal spa has already provided here.